The second installment of the portrayal of literature's awesome sleuth, Sherlock Holmes: A Game of Shadows used a different rendition of the traditional Sherlock Holmes, will it work or will it be a disappointment? Find out after the jump. 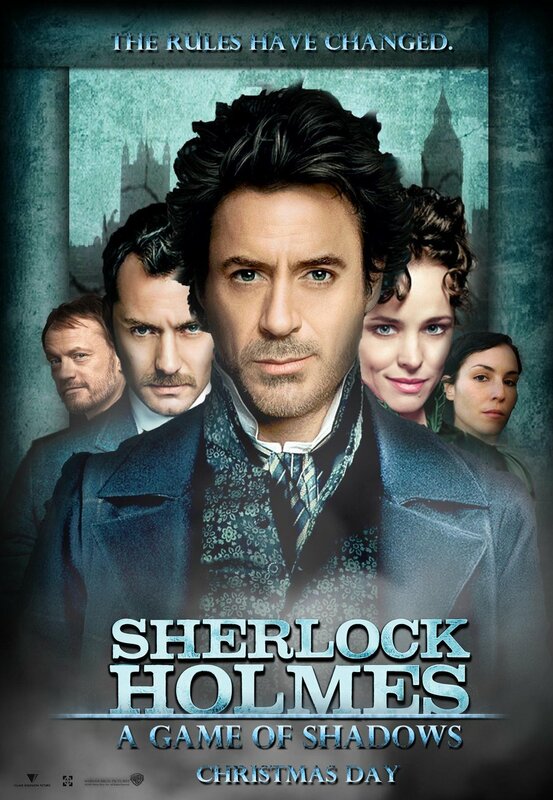 Robert Downey Jr. and Jude Law reprises their roles as Sherlock Holmes and Dr. John Watson . Sherlock's superb analysis and how the it was explained afterwards was the one I really liked about the movie. A lot of comedy and action was still present but sadly, compared to its predecessor, this film was lacking in intellectual bits and was overdosed in action. I don't know if most of you guys realized, but this sequel turned a brilliant sleuth of his time into an action man that s constantly running . Sherlock Holmes was well known for his intelligence but it was not definitely used much in the film. The movie turned into another action-packed fist flying, guns blazing and background exploding action flick. I know traditional moviegoers will like this approach, but true blue Sherlock fans will be disappointed. Instead of creating a different kind of experience, Sherlock Holmes: A Game of Shadows chose to play it safe, resulting into a video game style action slugfest with little consideration to the die hard Sherlock Holmes fans. Overall, if you want action with little thinking, this movie is jsut for you, but if you want stuff that would make you think deeply, better watch the first one or better yet, watch Inception instead. New Year, New Blog Content?